Veterans Sec. Shinseki: Case Backlog Up Again; Economy, PTSD Are Factors : The Two-Way While his department worked hard last year to get needed care to veterans, several factors have contributed this year to 1 million more cases pouring into its system. On this Veterans Day 2010, Morning Edition co-host Steve Inskeep had a long conversation with Veterans Affairs Secretary Eric Shinseki and the discussion underscored the sacrifices made by the men and women who have served in the U.S. military and the hardships many of them face. -- Steve noted that "it may be startling to some people to realize that the backlog ... pending cases, pending disability clams at the V.A. has soared in this year and is now above 700,000." 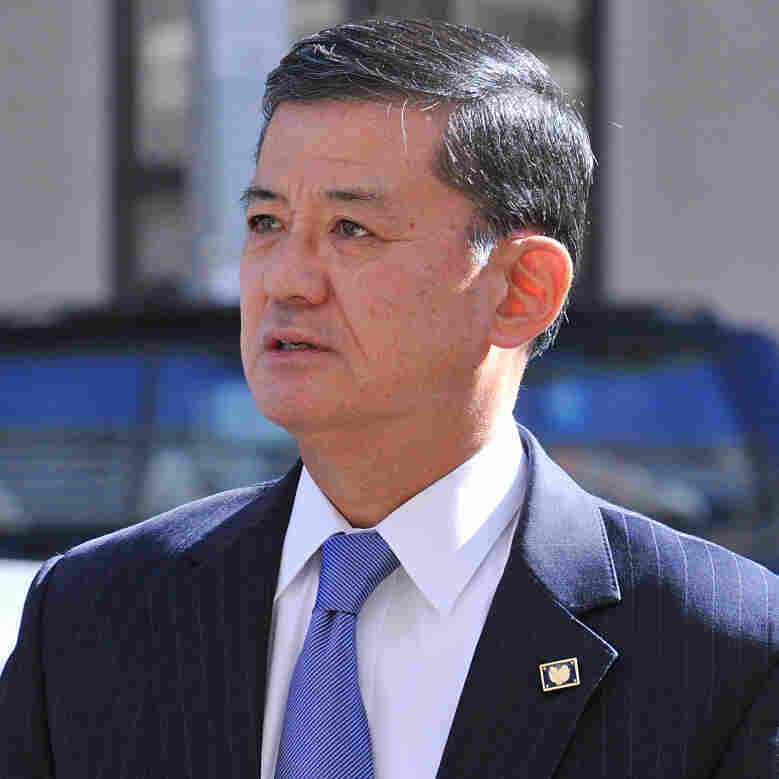 Shinseki said that "last year when we talked ... (it was) probably 4 to 500,000." The V.A. closed about 900,000 cases last year, Shinseki said, "and then we got 1 million cases back in. These are new cases, for the most part." -- Has the weak economy meant that many veterans who used to have employer-provided health care are now turning to the V.A. for help? "That's a good point," Shinseki said. "Over the past, probably 18 months, the economic downturn has had that impact on families." -- Homelessness among veterans has also contributed to the increase in the backlog of cases, Shinseki said. While the department has "committed to ending homelessness" among veterans within five years, the effort is "just not going fast enough." -- "No Place To Call Home For Many Female Veterans." -- "Some Vets Return With 'Hidden' Vision Problems."